Claim Up To Six Weeks RENT FREE! Get keys today through 5.31.19 to claim this special offer! Select Floor Plans, Contact the Office For Details. Learn about our neighborhood at Springs at South Elgin. Click to learn more about the Springs at South Elgin pledge. Challenge our team to tell you how Springs Apartments goes above and beyond for our residents! Now open and ready to lease apartments at Springs at South Elgin. Set off Randall Road in an energetic neighborhood, this luxury community offers top-of-the-line features both within your new home and around the community. 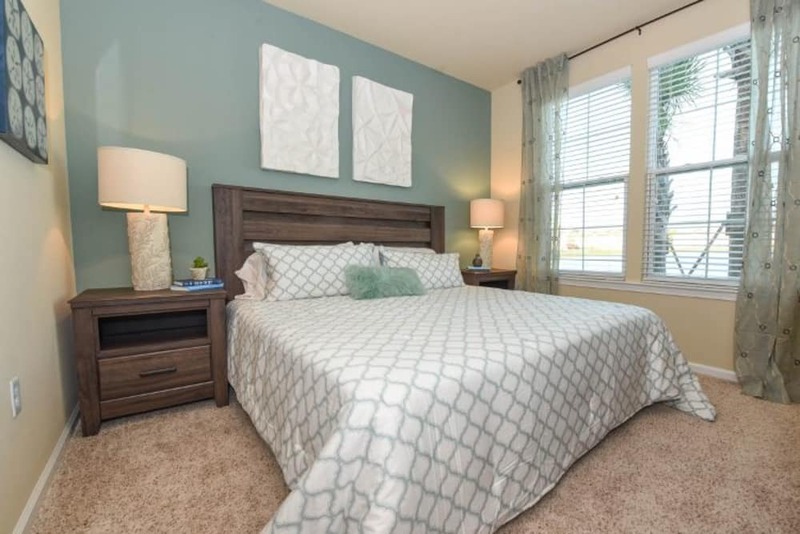 Choose from a studio, one, two, or three bedroom floor plan so you have the perfect amount of space for you and your belongings. If there is overflow, you can store your extra items in your optional attached or detached garage, alongside your car. All our homes are finished with gorgeous gourmet kitchens including energy-efficient appliances and a multi-functional island breakfast bar. 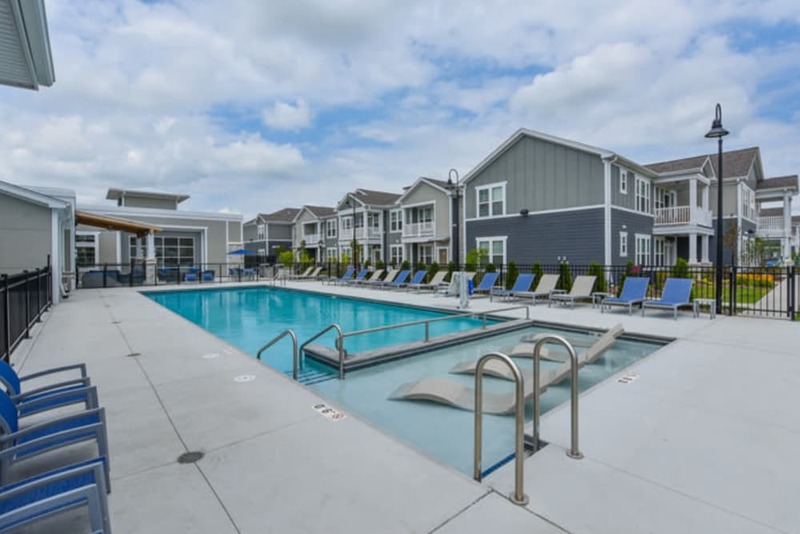 After a long day of cooking, cool off in our sparkling outdoor swimming pool, or let your dog stretch her legs at the on-site, leash-free dog park. Live the life of luxury at springs at South Elgin. We love your pets at Springs at South Elgin! When you live at Springs at South Elgin, you’ll gain access to our beautiful city’s long list of amenities. Shop for groceries at Angelo Caputo’s Fresh Markets just down the street. When you need to buy clothes or bulk items, you can stop at Target or Sam’s Club, both less than two miles from our luxury community. On a Friday night, order delivery from local favorite, Nick’s Pizza and Pub, or treat yourself to fresh sushi at JuRin Japanese Restaurant. Beautifully preserved parks and green spaces also surround our garden community. Hike the paved trails around the ponds and grasslands at Arthur Janura Forest Preserve, or navigate the rugged trails around Spring Creek Valley Forest Preserve. 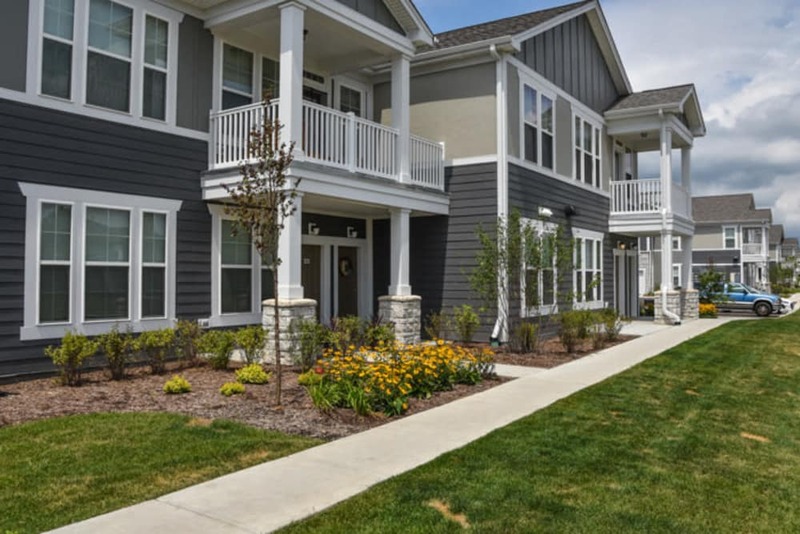 At Springs at South Elgin, great customer service means wonderful and personal greetings, well-maintained grounds you can be proud of, quick and quality maintenance resolutions, and timely follow-up from our team. You can always count on us to listen and be accountable. At Springs at South Elgin, we can’t wait to meet your pets! In addition to cats and dogs, we welcome birds, reptiles, fresh and saltwater fish, small furry animals, and most exotic pets to our garden-inspired community. When you and your dog aren’t exploring the trails at the nearby forest preserves, play a game of fetch at our on-site, leash-free dog park. If she’s wet or muddy, give her a bath at our pet spa station before you return to your luxury townhome-style apartments. 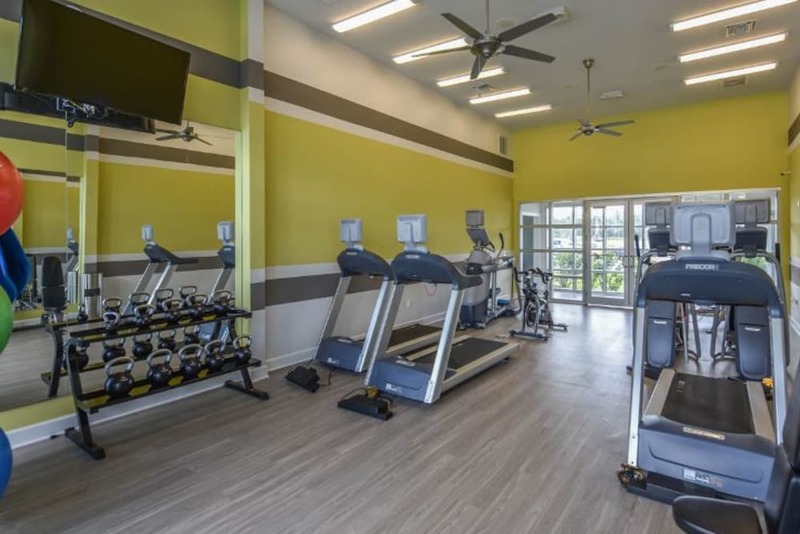 After a fun day of playing, unwind together in your studio, one, two, or three bedroom apartment. 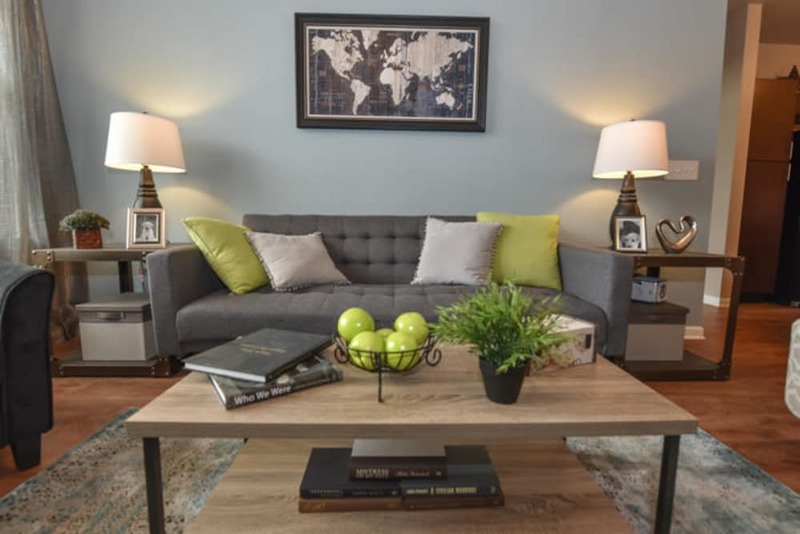 When you’re ready to make your move, contact the team at Springs at South Elgin to plan your visit of our apartments for rent in South Elgin, Illinois.